A flat business presentation clipart made with modern colors. 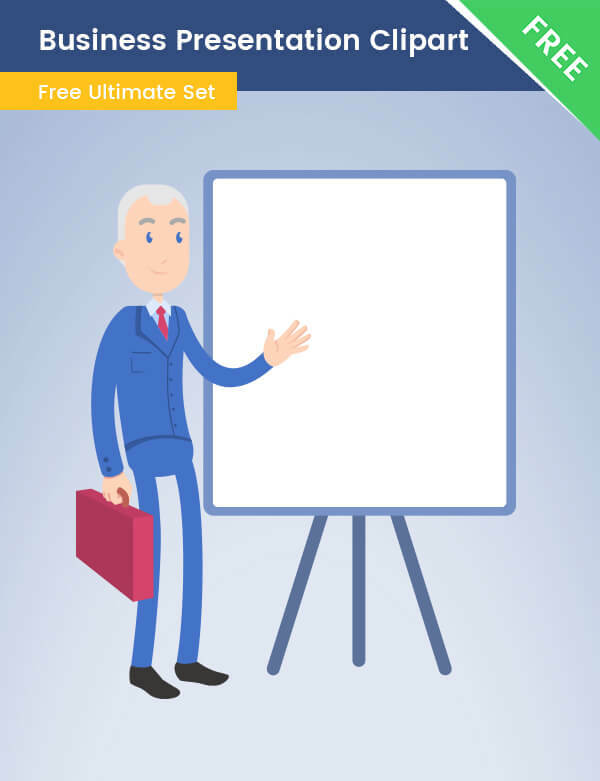 This wise businessman with a whiteboard comes in a transparent PNG, AI, and PDF, and it is available for free. If you need some smart and experienced businessman for your project, this character is perfect for you. He is friendly and charming and your audience will trust him for sure.